Intravenous lines or catheters are some of the most useful and relatively inexpensive tools in healthcare settings. Thanks to their use, medicines are delivered directly into the bloodstream quickly, efficiently and, in most cases, safely. A catheter occlusion, a fancy word for “blockage,” can result if caregivers are prevented from aspirating blood and flushing central lines, things that need to be done on a regular basis. Occlusions can be either non-thrombotic or thrombotic (resulting from a “thrombus” or vessel-wall-adhering blood clot). From 40 to 50 percent of occlusions are non-thrombotic, resulting from catheter mal-positioning, medication precipitates, unfavorable catheter-tip location, or the use of poor-quality dressings to secure the catheter. If blood return isn’t seen, then catheter-tip migration might be to blame. It’s in fact not unusual for the tip to get disconnected from the superior vena cava. Such possibilities partly hinge on the quality of the catheters; non-tunneled dialysis catheters, generally made of sturdier materials than PICCs, for example, tend to succumb more easily to this problem. Other things that can dislodge the tip include push-pause flushing methods, power flushing, suctioning and vomiting. There should be minimal bleeding after a catheter insertion. Then again, some things can increase the chance for bleeding, including poor insertion techniques, the type of catheter, and some lab results (e.g., previously unrecognized indications of diabetes). If inserting a catheter, mitigate bleeding at the site in advance of applying the dressing. Should bleeding persist, put a gauze dressing under a transparent dressing. Make sure that the dressings are changed regularly. There is no way to measure pressure accurately that’s been generated by catheter flushing. In fact, small syringes may lead to increased pressure within catheters. Occlusions can be responsible for the higher catheter pressures. Also be ware that exerting too much syringe plunger pressure may lead to excessive pressure within catheters, possibly leading to rupture. Encountering resistance when flushing a catheter can be a clue to stop flushing, lest leakage or a catheter embolus is brought about. Yet another nasty complication that can come about because of improperly placed or secured IV lines is the awful-looking, painful and often itchy swelling that can be created. This swelling can also be the result of tendon, nerve or ligament damage as a result of tight taping, improper arm board application or poor venipuncture techniques. In addition to swelling, the patient may feel extreme pain, muscle contractions, numbness and even paralysis, in extreme cases. Phlebitis (inflammation of the veins) is perhaps one of the most common complications involving IV line problems. This problem seems to be more prevalent with PICCs but can also occur with central lines. Phlebitis, categorized as mechanical, chemical or bacterial, often leads to pain, erythema and swelling. Thrombosis, one of the most dangerous complications, is the result of platelets adhering to a vein’s tunica intima because of venipuncture-created vessel injury. Denoting how serious this can be, the vein will often go into “red, painful and swollen” mode. Thrombosis, therefore, makes removal of the catheter necessary, possibly to run an IV line in the other arm, if at all possible. A deep vein thrombosis is so serious that, if dislodged and travels back far enough, it may precipitate a pulmonary embolism or myocardial infarction. An embolism is any obstruction of a blood vessel by a long list of culprits: fat from broken bones, air bubbles, bacterial masses, cancerous cells, etc. A catheter embolism can occur if the catheter ruptures–a result of using too much pressure when flushing lines. Other reasons include catheter breakage and migration. These problems are best prevented by properly securing the catheter with high-quality dressings. Some of the scariest repercussions of IV lines gone wrong are healthcare-acquired infections (HAIs). 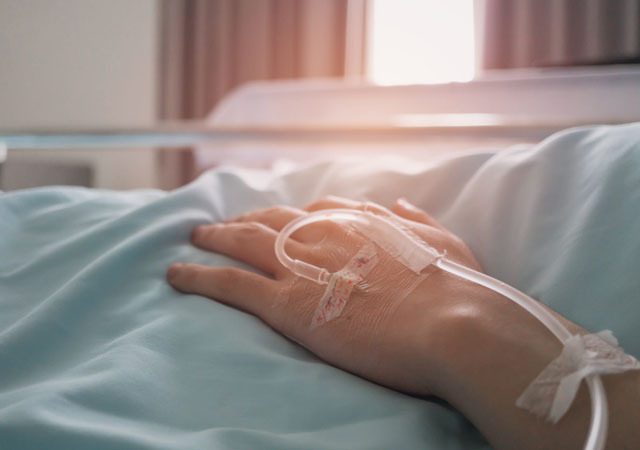 These are infections that come about forty-eight hours after admission, within three days following discharge, or within thirty days following surgery. Vascular infections originating from catheter mishaps/mismanagement can have serious repercussion, which is why the best defense against them is prevention. One of the possible reasons for patients being inflicted unnecessarily with too much pain and discomfort is the use of solutions/liquids with excessively high or low pH and excessively high osmolarity. Some of the symptoms to look for include experiencing pain from the site, redness of the skin over the vein, blanching and possible phlebitis. One of the reasons viral infections are so dangerous is the fact that, except for viruses for which we already have a vaccine, there is no cure or treatment we can rely on. In the case of bacterial infections, we can use antibiotics but these don’t work against viruses. Viral infections, furthermore, tend to hang around, sometimes (like HIV) in dormant stages, later to pop up and do harm in unpredictable and possibly deadly ways. By properly training personnel in the best ways to apply dressings and by making sure that only high-quality dressings from reputable companies (e.g., Pharmaplast) are used at healthcare facilities, most of these problems can be prevented. Pharmaplast offers 5 different IV product lines specifically tailored for preventing most of IV complications. Ask your medical professional for the best indicated IV dressing variant.